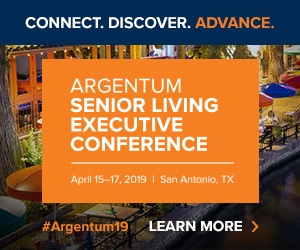 In the senior housing industry, owners, operators and developers tend to target either the high end of the private pay spectrum or low-income subsidized options. However, very few have seized the opportunity to provide senior living for a middle income price point when the need for such a product is only going to grow. Specifically, there’s a lack of seniors housing supply for those who earn too much to qualify for Medicaid, but don’t make enough to afford most assisted living facilities, Steve Kennedy, senior managing director with Lancaster Pollard, pointed out. Given the rising costs of senior living and an increasing wealth disparity among older adults—more than half of seniors age 65 and older who make under $200,000 fall in the $20,000 to $70,000 income range, according to 2014 U.S. Census data—the reality of the situation is stark. As it stands, the opportunity to develop mid-market senior housing is limited in most states. Illinois’ Supportive Living Program attempts to proactively address the need, for example, but like others, the program relies on a Medicaid waiver to account for certain assisted living-esque services, such as laundry and medication supervision. The goal is to accommodate the middle-income population wherever they happen to live, Kramer says, and not force them to move somewhere there might be a cheaper cost of living. Kramer and Kennedy agree that doing so is crucial, albeit rare, and while there’s not necessarily a tried and true solution, there are certain factors to consider before tackling a middle class seniors housing development. Perhaps the biggest concern for developers is figuring out how to realize a return on investment without hiking costs for residents. Capturing value through a development is key, Kennedy says, regardless of the type of resident targeted. “Is there the financial upside to pursue that? I think the answer is yes, but it has to be the right product,” he says. Fund with Low Cost of Capital: If a developer funds a project with the lowest cost of capital possible, then the ownership group has a better chance of capturing most of the value the project creates, Kennedy says. Assess Market Demand: The higher the demand in a market area, the quicker a project will fill up. This in turn can decrease the amount of working capital and operating deficit used, which should yield to a higher relative return for investors. As technology continues to play an ever-important role in the senior housing industry, it will be necessary to experiment with technology as a means of driving down costs, Kramer says. Beyond the development itself, labor will prove a significant cost as minimum wages go up across the country. In this sense, the application of technology can serve to make staff more efficient. “That’s not to say technology will replace staff, but it will free up staff so that they’re not doing paperwork, but they’re really engaged in direct caregiving,” Kramer says. Flexible space was among Austin-based studioSIX5’s top predictions for senior housing design in 2016, and Kramer believes adaptable building designs will be beneficial to developing a quality middle market product, as well. Employing an efficient use of space can make such a project cost-effective. “Ultimately, we have to find a way to provide the care that’s needed, but at a cost that’s not only affordable to this group, but obviously that whoever is providing it isn’t going to go out of business,” Kramer says.